If we go by stock movements, Facebook (FB) let investors down with Tuesday night's quarterly report. It may have posted better-than-expected results, but the market was more concerned with escalating costs at the social networking website operator and what that will mean in the near future. The shares fell sharply during Tuesday night's after-hours trading, but could this be a buying opportunity for opportunistic investors? At a time when the market's fretting about what Facebook is doing wrong, let's take a look at the things that it's doing well. Facebook is still taking advantage of being the top dog in social networking. Revenue and adjusted earnings climbed 59 percent and 73 percent, respectively, in the third quarter. That's heady growth for a company that rang up nearly $8 billion in revenue last year and will easily top $12 billion this year. The market ultimately rewards big companies when they take big steps, and that's exactly what Facebook is doing here. A common bearish knock is that Facebook is peaking. Naysayers argue that teens are leaving Facebook in droves, opting to communicate through Snapchat, hook up on Tinder and share images on Instagram. Yes, Facebook owns Instagram, but that's another story. We may not know who is leaving Facebook, but more people are joining than those logging off. Facebook had 1.35 billion monthly active users as of the end of last month, 14 percent ahead of where it was a year earlier. On any given day, 864 million daily active users are on the site, a 19 percent uptick. It's refreshing to see daily active users growing more than monthly active users. It points to increasing engagement. Mobile has challenged most Internet giants since advertisers typically pay less to reach someone on the smaller screen of a smartphone than on a desktop. We're seeing it at play with Google (GOOG) (GOOGL), which for the past several quarters has experienced a decline in revenue per click as a result of usage migrating to mobile devices. Facebook, on the other hand, is cool with that. Nearly two-thirds of its $3.2 billion in revenue was generated from mobile advertising, and 1.12 billion of Facebook's 1.35 billion monthly active users worldwide access the site -- in part, at least -- through mobile. Advertising revenue has soared 64 percent over the past year to hit $2.96 billion during the third quarter. 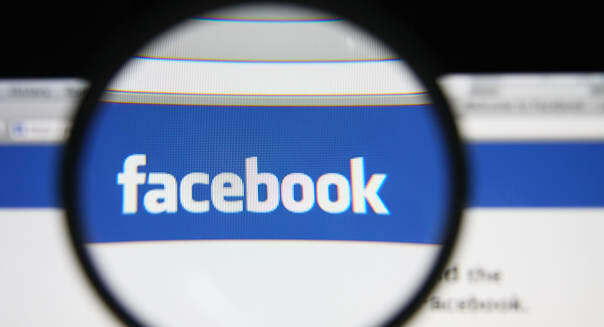 Advertising makes up nearly 93 percent of Facebook's total revenue. Remember the 19 percent spike in daily active users? With ad revenue growing more than three times that clip, it tells us that advertisers are spending more to reach each user. It also suggests that engagement is on the rise with folks spending more time on the site. Facebook isn't afraid to cut big checks. It has paid -- and some will argue overpaid -- for the Instagram photo-sharing site, WhatsApp messaging platform and virtual reality specialist Oculus. These sites aren't as easy to monetize as Facebook itself, but it's still too early to pass judgment. Now we're seeing Facebook take an aggressive approach to investing in the near term, and while that may limit profitability, it's the right approach. Facebook also has the money to dream out loud. Facebook closed out the quarter with $14.25 billion in cash and marketable securities. If there are opportunities out there that it sees worth pursuing, it has the money to make it happen. Motley Fool contributor Rick Munarriz has no position in any stocks mentioned. The Motley Fool recommends and owns shares of Facebook and Google (A and C shares). Try any of our Foolish newsletter services free for 30 days. To read about our favorite high-yielding dividend stocks for any investor, check out our free report.